Chesterfield Minibus Hire is always ready to provide airport transfers, with our range or executive vehicles and our highly trained chauffeurs. We are fully prepared to offer transfer services to all airports in Chesterfield and the nearby areas. 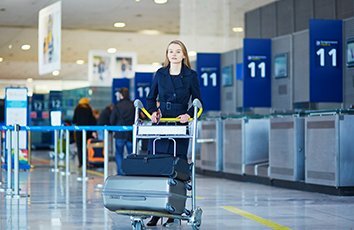 Our transfer services cover all major airports in the regions, like Chester Airport and East Midlands Airport, among others. Chesterfield Minibus Hire experienced and qualified chauffeurs will drive through any traffic, to get you to the airport on time and relaxed. The years of experience we have accumulated in the industry have enabled us to perfect our services, to become the leading airport transfer company in Chester. When it comes to Chesterfield Minibus airport transfers, you hardly find another company that matches the excellence of our services. With us, you get to enjoy the experience of using modern vehicles that are fully equipped with the latest technology and extra features. Our vehicles are magnificently designed, with spacious room and luggage compartment for all our things. We are here to take away all the hassles that come with airport transfers. If you are just coming into Chesterfield, our chauffeurs will be there to pick you up and take you to your desired destination.